Cleaning is the first step in daily skin care routine. Cleansing, when properly done, removes all the dust, dirt, bacteria, germs, makeup remains and dead skin cells from the skin and opens up the clogged pores and deep cleanses the pores as well. Moreover, cleansing process stimulates the blood circulation and set up the skin to collect nutrients and lipids the cream contains. Cleanse your face twice a day; in the morning and in the evening. If you have dry skin, than don’t cleanse your skin frequently since it will make the skin even drier. However, if your skin is oily then there isn’t any problem with cleaning frequently. Be careful, don’t cleanse the skin for long; it results in the removal of natural oil from the skin making the skin dry and taut. Pick a right cleanser that suits your skin type. Gel-based cleansers work best for the dry skin while for the oily skin herbal or natural cleanser is best option. Those with sensitive skin should use flavored soft cleanser. Always use tepid water for cleansing. Hot water takes away moisture and natural oil from the skin leaving it dry while the cold water cleanse the skin superficially because it cant dissolve the dust. Make use of your fingers or a soft and hygienic sponge for cleansing. Before starting cleansing rinse your hands thoroughly to remove all the impurities accumulated on them, and tie the hair in a band so that they don’t fall on the face. First, wash your face with tepid water and then dab cleanser on the entire face moving the sponge or fingers in circular motion. Avoid rubbing your face vigorously to remove stains, it will scratch your skin and cause irritation.One popular skin care myth is that skin type is obvious and easy to pinpoint. Unless your skin is excessively dry or oily, however, it may be hard to determine exactly what you're working with. In order to develop an effective skin cleansing regimen, it might help to recruit a dermatologist to determine your true skin type. If that's not financially feasible, you can make your own assessment of your skin. For starters, keep track of how many times a day you blot your face. If you've got oily skin, the tissue you use to blot your skin will soak up oil at any given time of day. You've got dry skin if you blot and the tissue comes up clean. (Another hint that you've got dry skin is if you never feel the need to blot). Combination skin types tend to sport dry cheeks and foreheads, with the occasional oil buildup around the nose. The few people lucky enough to have normal skin rarely need to blot and never feel as though skin is dry or tight. Cleanse your skin twice a day; every morning and every night before bed, no matter what. Just because your skin looks clean doesn’t mean it is; chances are it’s covered with invisible impurities that can harm the skin. Get rid of them. Never dry your skin with the family hand towel! If it’s not clean you could be transferring bacteria onto your fresh, clean face. Try a quick sniff test – if your towel doesn’t smell like it’s fresh from the laundry then you might want to ditch it and grab a clean one. Exfoliate at least once a week. Gentle exfoliation buffs away dead cells on your face resulting in smoother, brighter skin. Just like a cleanser, make sure to find a scrub that’s suitable for your skin type. Invest in a facial once in a while. Just like you would go to a dentist for a teeth cleaning, your skin needs a deep cleansing too! 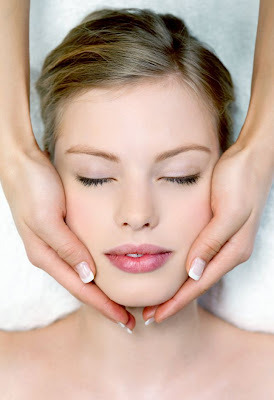 Frequency of facials depends on skin type. Work with your aesthetician to determine how often a deep cleaning is needed.